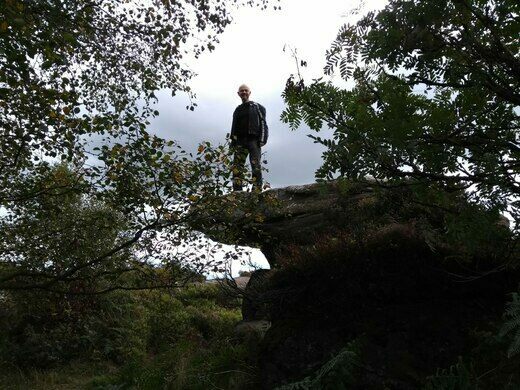 Some of the Brimham Rock formations look almost impossible, and were once thought to have been carved by the druids. Yet these astonishing rocks were formed naturally. 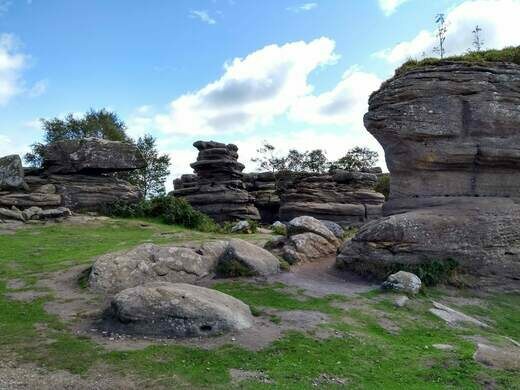 Found on Brimham Moor in North Yorkshire, England the rocks began taking their shape roughly 320 million years ago, when water, grit, and sand washed down from Scotland and Norway to form the land of Yorkshire. 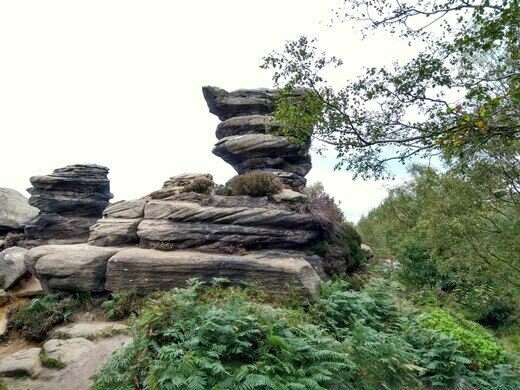 However it was a much more recent event, during the last glacial period, (the Devensian glaciation, roughly 73,000 BC to 10,000 BC) that would shape the rocks into the bizarre silhouettes you see today. As the last of the giant ice age glaciers melted they created the ripples and waves on the rocks, creating sculpted looking forms. 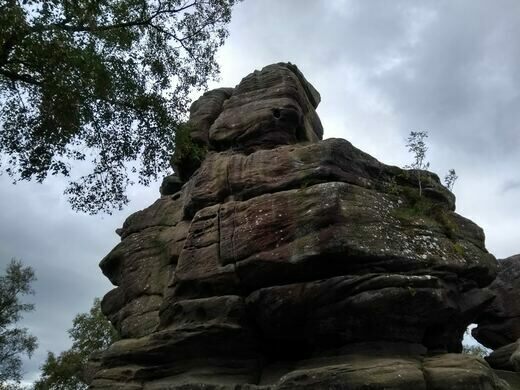 Since then, rain and wind have further eroded the strange rock formations seen throughout the area. 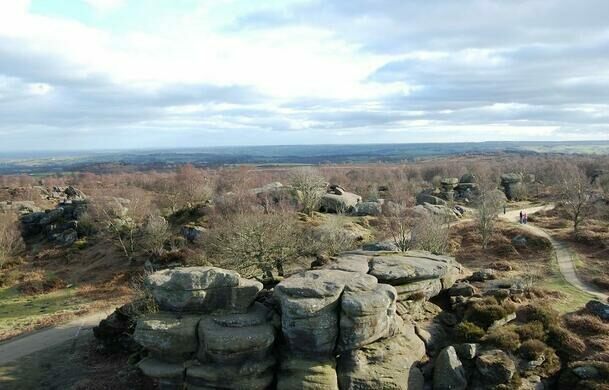 Many of the rock outcroppings reach over 30 meters into the sky, and the protected Brimham Rock area covers more than 400 acres. 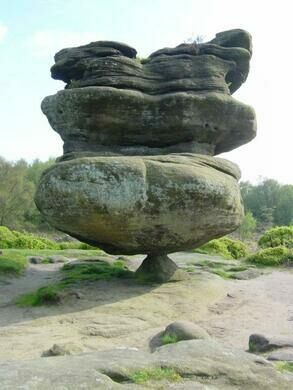 Most of the rocks have been given names such as “The Sphinx, The Watchdog, The Camel, The Turtle and The Dancing Bear” and many have legends attached, such as the lover’s rocks where a couple that couldn’t be together attempted to jump to their death but were miraculously saved. Guided walks are available all year round, and rock climbing is available for very experienced climbers. The area is now owned by the National Trust and is open year-round. 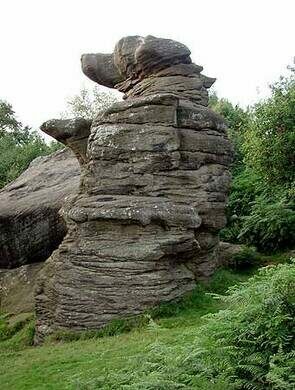 Brimham Rocks is located 4 miles east of Pateley Bridge of the B6265, 10 miles north west of Harrogate of the B6165, and 10 miles south east of Ripon.